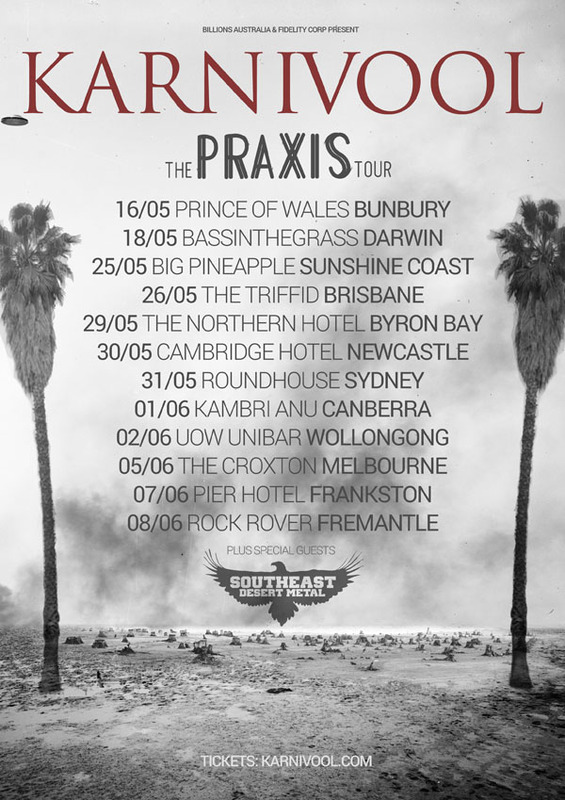 Karnivool are very happy to announce The Praxis Tour 2019. Karnivool was a sleeping giant in 2018, but the beast stirred in January of this year with a short run of dates in WA and SA leading into a headlining slot at the Unify Gathering festival in regional VIC. This jaunt was so well received (all shows sold out) and more importantly so much damn fun for the band that it only seems fair that they should visit the rest of Australia and remind their fans how unique the atmosphere is in the temple of Vool - the band were a little overwhelmed by how many messages they got from other cities in Australia asking for a visit - it had been awhile!